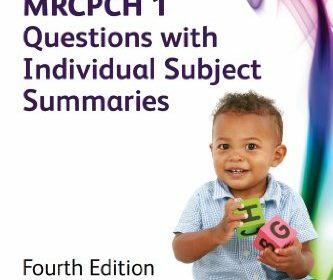 Reflecting the latest exam formats, this book provides essential revision for those taking the Paediatric Membership exams – MRCPCH Foundation of Practice, Theory and Science and DCH diploma. Features over 500 completely up-to-date questions. Includes subject-based chapters for focused revision, with all question formats likely to be encountered in the exam – BOF, MCQs and EMQs. Contains expanded answers to every question, helping students build understanding and confidence for success. Written by experienced, practising Paediatric Specialist Registrars, and edited by renowned author R Mark Beattie. This title was ‘highly commended’ at the BMA Book Awards 2012.